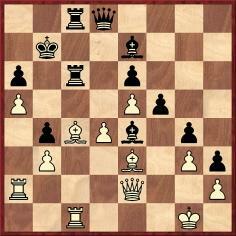 67...Bg3+ 68 hxg3 h2 69 f7 g1(Q) 70 f8(Q)+ Ke2 71 Qf4 Qg2 72 Qe3+ Kd1 73 Rd8 Resigns. 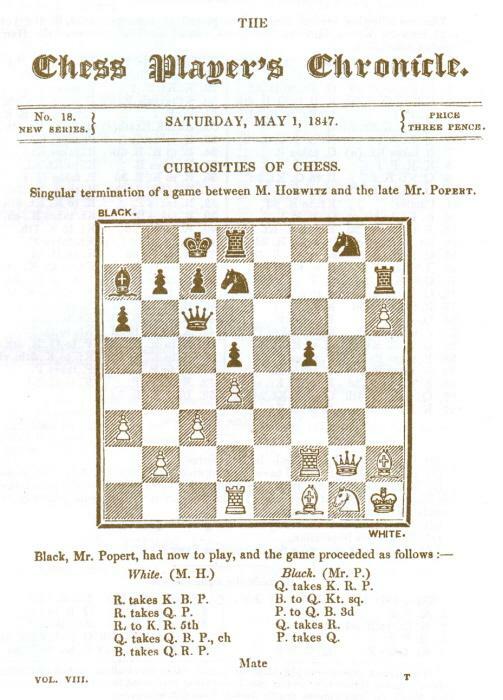 Source: Chess Player, October 1852, pages 50-51, with a correction on page 143 regarding White’s identity. 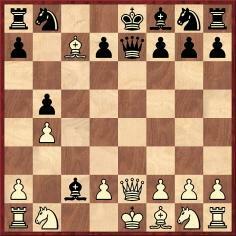 17...Bxg4 18 Qxg4 Bxe3 19 fxe3 Qc3 20 Rc1 Qxd3+ 21 Ke1 Qxe3+ 22 Ne2 Qf2+ 23 Kd1 Nf5 24 Kd2 Qe3+ 25 Kc2 Qb6 26 Bd5+ Kh8 27 Kb1 Ne3 28 Qe4 Rf2 29 c5 Qb5 30 Qxe3 Rxe2 31 Qf3 Rf2 32 Qxf2 Qd3+ 33 Ka1 Qxd5 34 Qf6+ Kg8 35 Rhd1 Qe4 36 cxd6 Rf8 37 Qe6+ Kh8 38 d7 Qxh4 39 Rc8 Rd8 40 Rxd8+ Resigns. 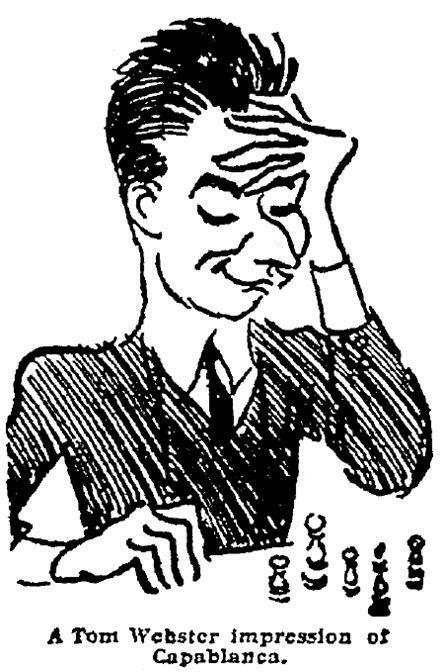 Source: Chess Player, 1852, page 62. 32 Bb1 Kg7 33 Rdd1 Rfb8 34 Kg2 a4 35 Qg1 a3 36 Qe1 a2 37 Bd3 Qd4 38 e5 h3+ 39 Kh1 Qxd5 40 Be4 Qxe5 41 Rd5 Qe7 42 Qc3+ Kg8 43 Qc4 Kh8 44 Ra1 Rb1+ 45 Rd1 Rxa1 46 Rxa1 Rb1+ 47 Bxb1 Qe1+ 48 Kh2 Qxf2+ 49 Kxh3 Qg3 mate. 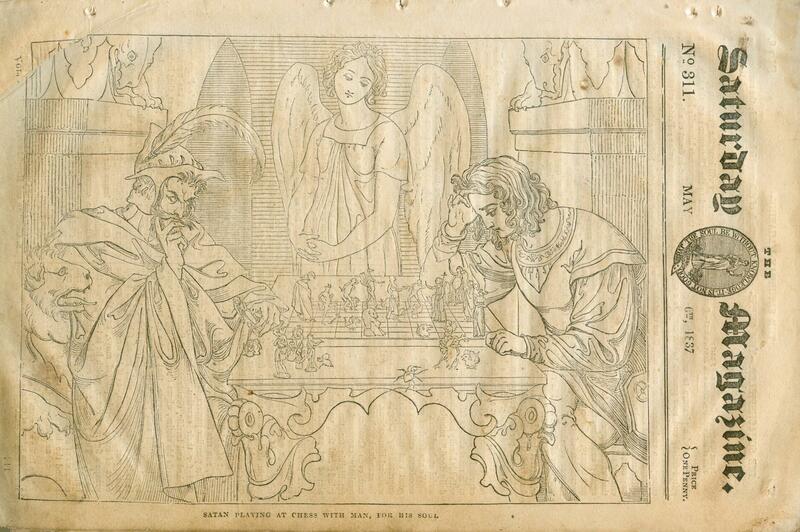 Source: Chess Player, 1852, pages 63-64. 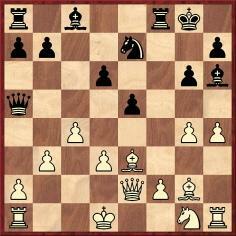 1 e4 e5 2 f4 d5 3 exd5 exf4 4 Nf3 Bd6 5 Bb5+ c6 6 dxc6 bxc6 7 Bc4 Nf6 8 O-O O-O 9 d4 Bg4 10 c3 Nbd7 11 b3 Ne4 12 Qc2 Ndf6 13 Bd3 Bxf3 14 Rxf3 Ng5 15 Rf1 Qc7 16 Na3 h6 17 Nc4 Nd5 18 Nxd6 Qxd6 19 Qf2 Ne6 20 Bd2 g5 21 Rfe1 Nf6 22 Re2 Kg7 23 Rae1 Rae8 24 h4 Nh5 25 Re5 f6 26 Ra5 Rf7 27 Bc4 Rfe7 28 Bxe6 Rxe6 29 Rxa7+ Kg6 30 Rxe6 Qxe6 31 c4 Ng3 32 Bb4 Qe4 33 Kh2 Qb1 34 h5+ Kf5 35 Ra5+ Kg4 36 Qf3+ Kh4 37 White resigns. 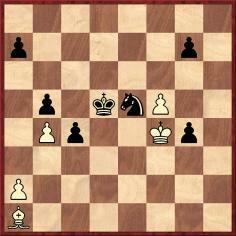 Source: Chess Player, 1852, pages 73-74. 17 h3 hxg5 18 hxg4 Nxg4 19 Bxc6 gxf4 20 Bxd7 Ne3 21 Rxf4 Bg5 22 Rf3 Nxc2 23 Re2 d4 24 Rxc2 dxc3 25 Rcxc3 Qe7 26 Rcd3 Rc8 27 Rf1 Rd8 28 Rfd1 Bf4 29 Qf2 Qg5 30 g3 Rxd7 31 Qxf4 and wins. 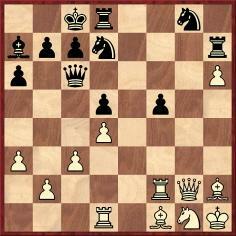 Source: Chess Player, 1852-53, page 87. 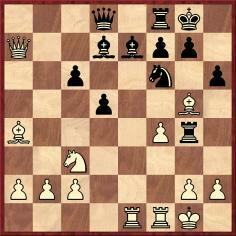 24 f5 gxf5 25 Bxf5 Ke7 26 Bxe6 Nh6 27 Bxd5+ Kd8 28 Qh5 Rc7 29 Re6 Qf4 30 Bxb7 Nf5 31 Re4 Ng3 32 Qd5+ Rd7 33 Qxd7+ Kxd7 34 Ne5+ Kc7 35 Rfxf4 Resigns. 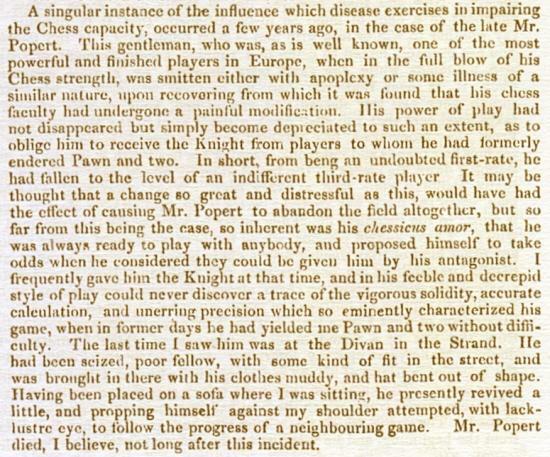 Source: Chess Player, 1852-53, pages 105-106. 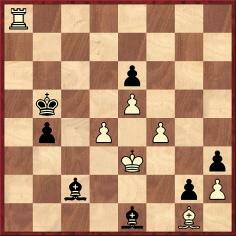 13 Ng3 Nxf5 14 Nxf5 Qf8 15 dxc6 bxc6 16 Nxd6+ Kd8 17 Be3 Kc7 18 Nf5 h5 19 Ra6 Rh7 20 Rxc6+ Kxc6 21 Qd5+ Kc7 22 Nb5+ Resigns. 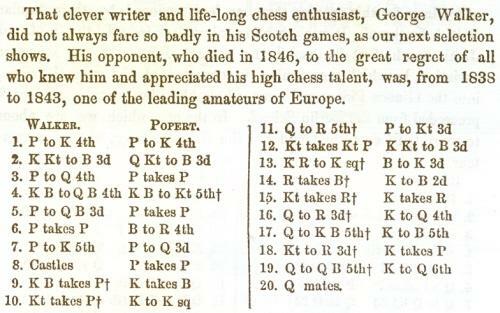 Source: Chess Player’s Chronicle, 1859, pages 208-209. 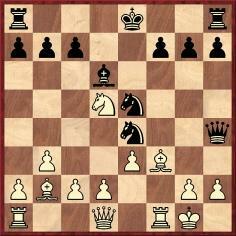 18...Rxf2 19 Rxf2 Qxe1+ 20 Nf1 Qxf1 mate. 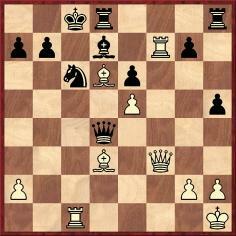 Source: Chess Player’s Chronicle, 1859, pages 209-210. A new catalogue has just been produced by Tony Peterson of Southend-on-Sea, England. 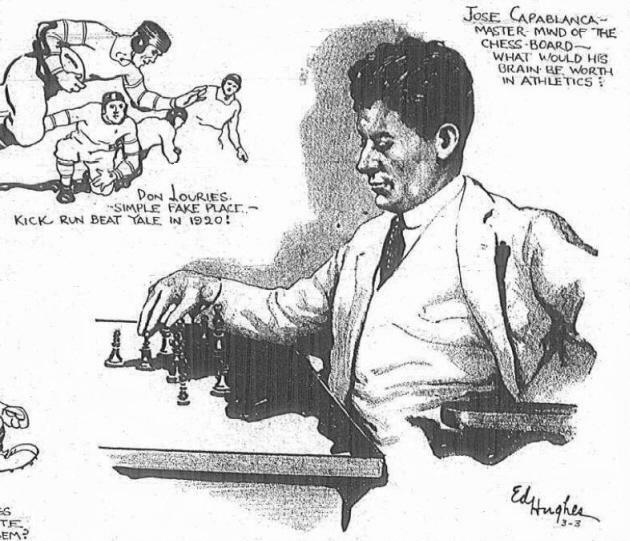 John Blackstone (Las Vegas, NV, USA) draws attention to an article ‘Capablanca’s Brain Would Not Do in Sports’ on page 1 of the Sporting Section of the Brooklyn Daily Eagle, 5 March 1922. To highlight only the Steinitz versus God yarn, no scrap of serious substantiation is available. Once again we witness the magnetic pull of malignant anecdotitis. And since the theme is insanity, an uncomfortable question arises: can such groundless public denigration of Steinitz and others be considered the conduct of a rational human being? 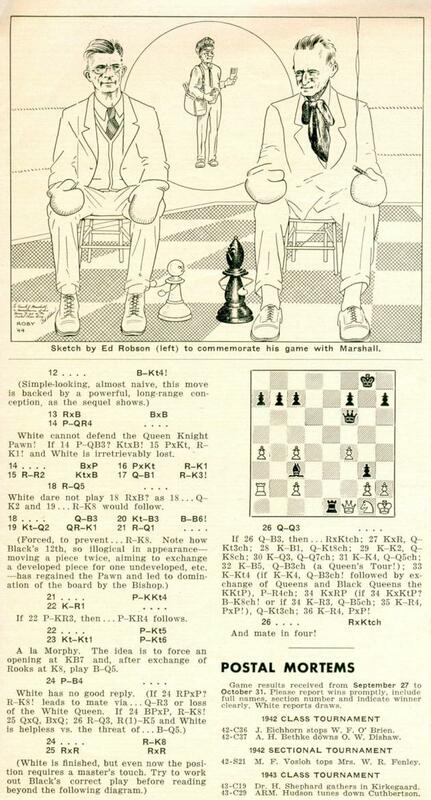 ‘When I was a child prodigy many years ago, chessplayers were amazed at the ease and accuracy of my play against the veritable giants of chessdom. To be perfectly frank, I was no less amazed, and I have thought about this over and over again. What was it that I had which has been variously described as talent or genius or the divine afflatus which enabled me to select the proper move or line in a given situation? The answer to this question, of course, should prove enlightening. I discovered that I had the happy faculty of being able to spot weak and strong points in a position merely by a glance at its contour. Having done so, I could go on to the next step and enhance my strong points, while surveying my weak ones and/or contain my opponent’s strong points and exploit his weak ones. 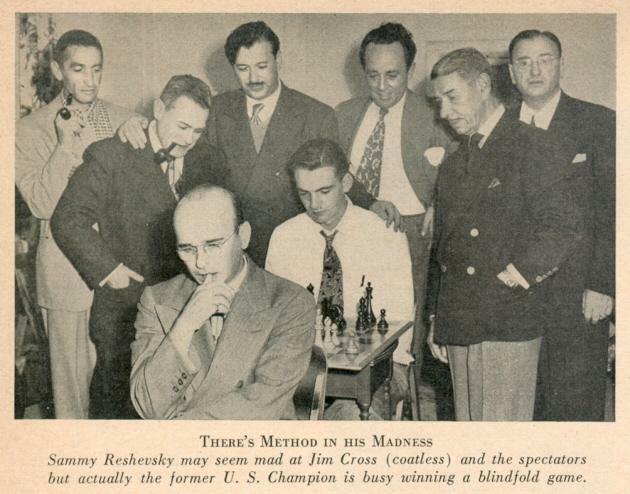 The above is Samuel Reshevsky’s Foreword to Point Count Chess by I.A. 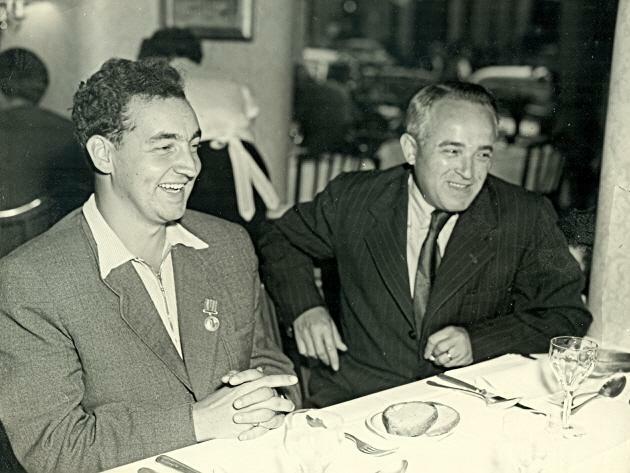 Horowitz and Geoffrey Mott-Smith (New York, 1960). 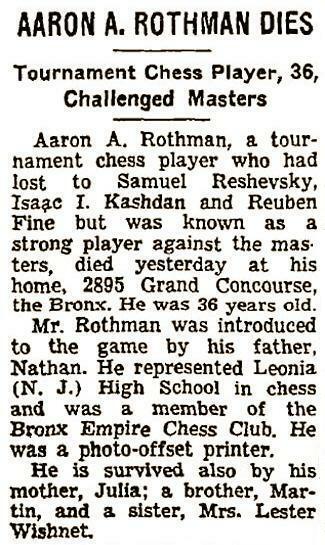 We are still seeking biographical information about A. Rothman, who claimed to know the entirety of Modern Chess Openings by heart. 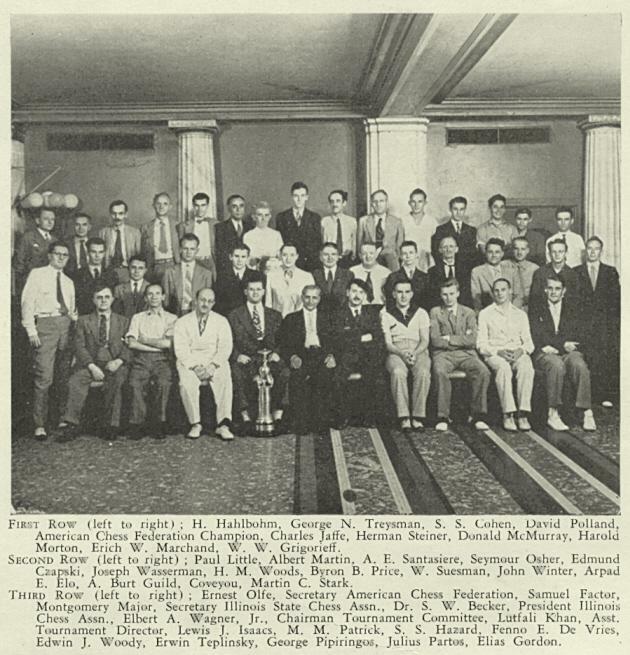 Source: the frontispiece to volume three of the Year Book of the American Chess Federation (Milwaukee, 1938). 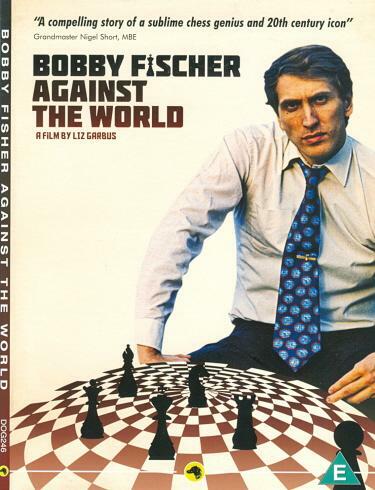 The only clue being offered: a writer on chess history. But why 27 eyes or, for that matter, 28,000 eyes (in another version of the Miles quote to be found on web pages)? 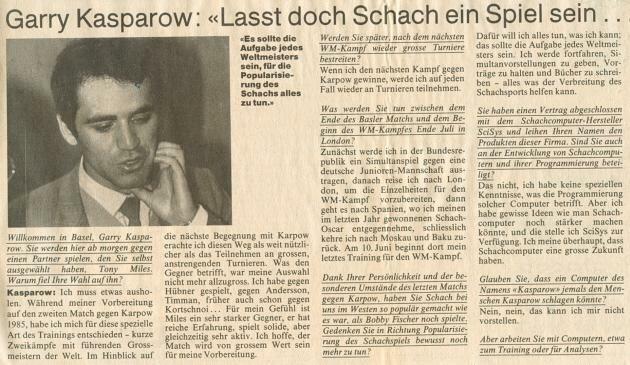 Kasparov gave the figure 100 on page 188 of Child of Change (London, 1987) and page 193 of Unlimited Challenge (Glasgow, 1990). 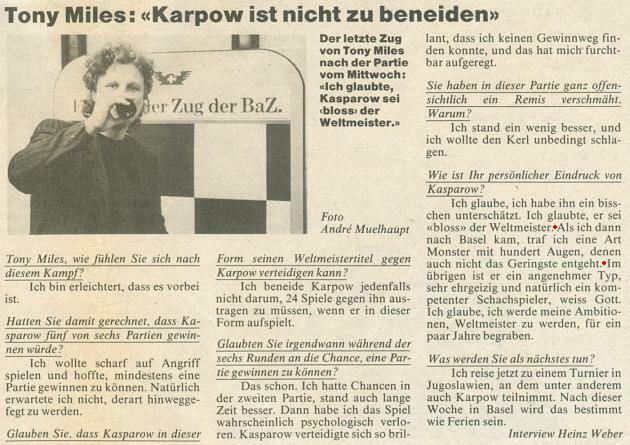 Above: Basler Zeitung, 15 May 1986, page 35. Is it possible to obtain a copy in a higher resolution? 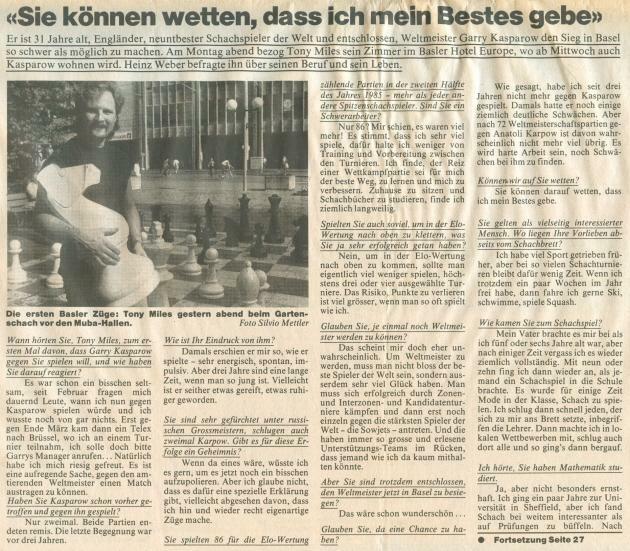 Mark Taimanov (Moscow) informs us that he plans to dispose of his chess library and is seeking a buyer. 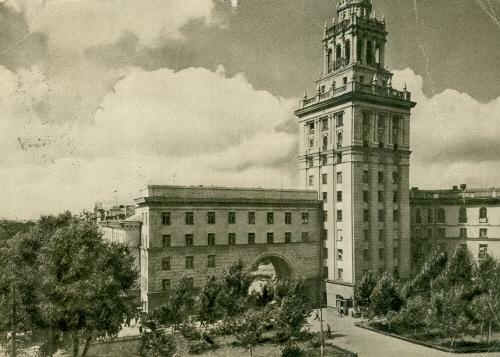 The collection consists of over 500 books plus 120 complete volumes of periodicals. To mention only some of the categories, there are nearly 80 books on the openings, almost 60 on the middle-game and 14 on endings. Other categories include tournament and match books, biographical games collections, endgame studies, year books and memoirs. Most of the works are in Russian, but there are also volumes in English, French, German, Spanish, Hungarian, Czech, Serbian, Finnish and Estonian. 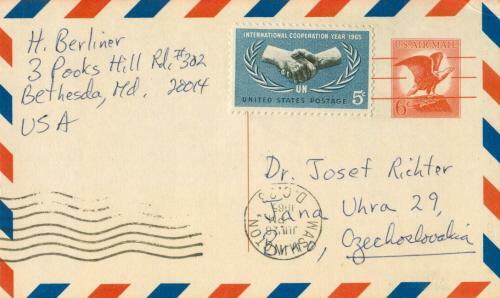 A number of books are inscribed by their authors. 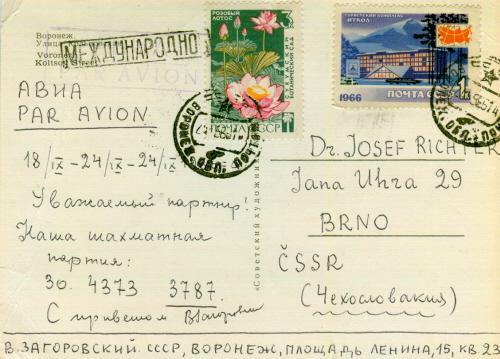 Any readers interested in acquiring this unique collection are invited to let us know as soon as possible, and we shall forward their contact details to Mr Taimanov. 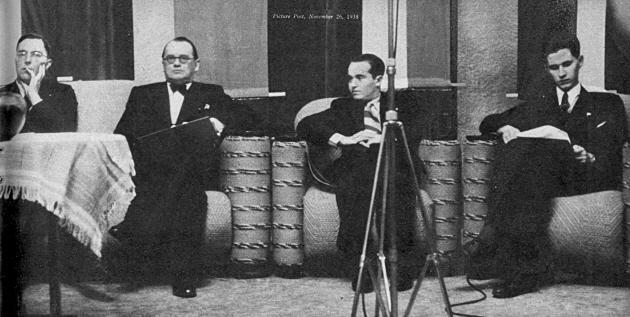 M. Botvinnik, S. Flohr and S. Reshevsky. 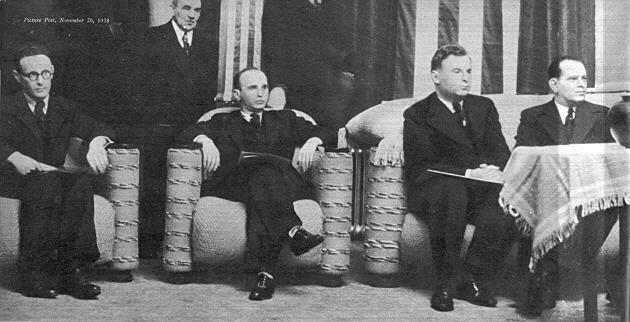 No individual photographs of R. Fine and P. Keres were given. 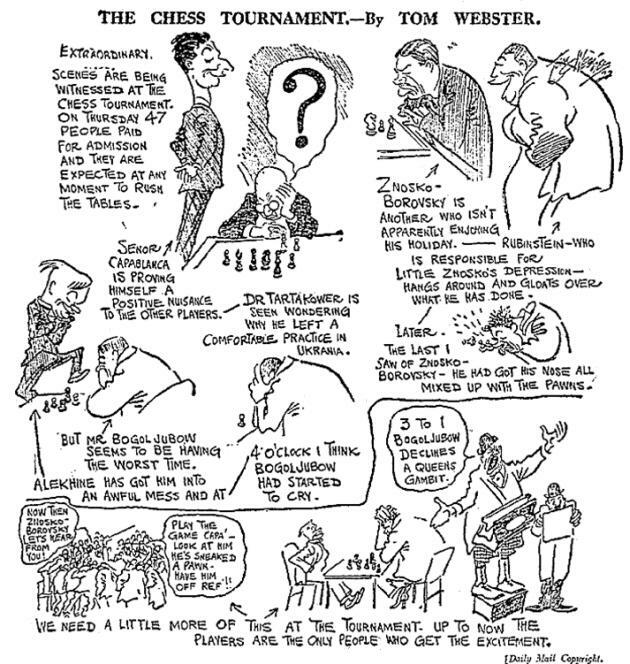 As stated on, for instance, page 345 of the Hastings, 1895 tournament book, H.N. Pillsbury was born in Somerville, Massachusetts on 5 December 1872, yet even today there are occasional claims that he was born in South Carolina. In some old sources, Somerville was misspelled Sommerville. 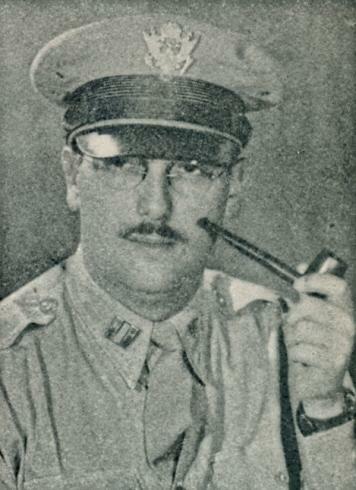 See, for example, page 3 of Harry Nelson Pillsbury. 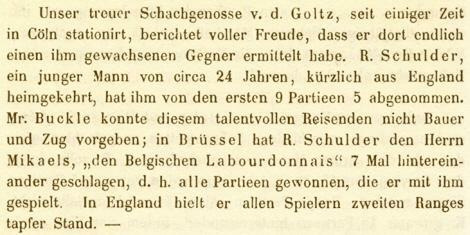 200 partier by W. Henrici (Stockholm, 1913) and, in particular, page 188 of Die Meister des Schachbretts by R. Réti (Mährisch-Ostrau, 1930). 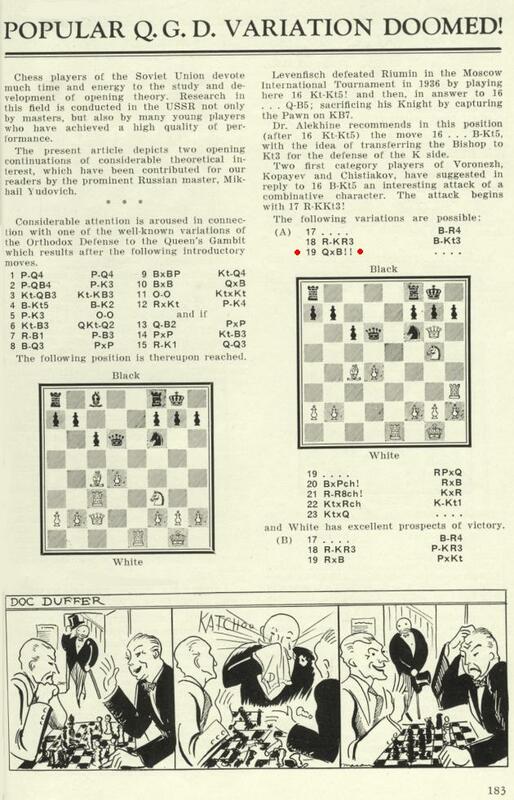 In the English edition of the latter book, Masters of the Chess Board (London, 1933), the incorrect ‘Sommerville’ became the incorrect ‘Summerville’ (see page 100), leaving the reader to assume that Summerville, South Carolina was meant. 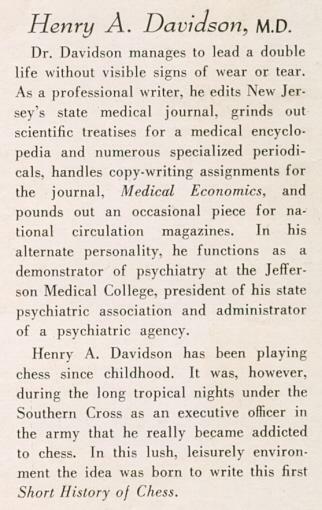 The matter was raised, with a mention of Masters of the Chess Board, by L.F. Oakley in a letter published on page 2 of the April 1944 Chess Review. 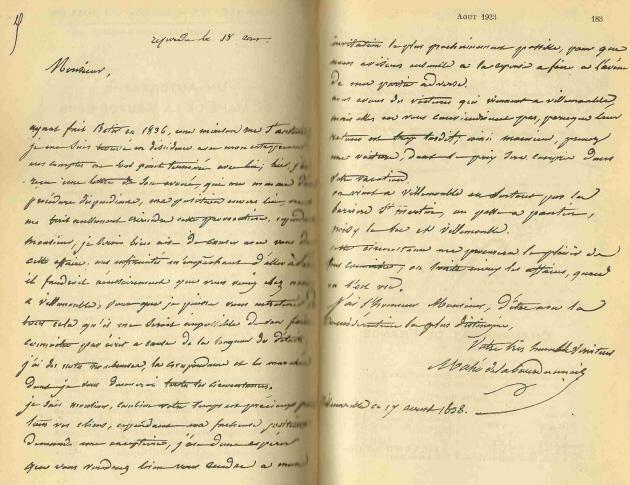 The Editor’s reply noted that W.E. Napier, Pillsbury’s brother-in-law, had confirmed that Somerville, Massachusetts was the correct place. Somerville was also stipulated on page 162 of the book discussed in C.N.s 4380 and 4397, The Pillsbury Family by David B. Pilsbury and Emily A. Getchell (Everett, 1898). 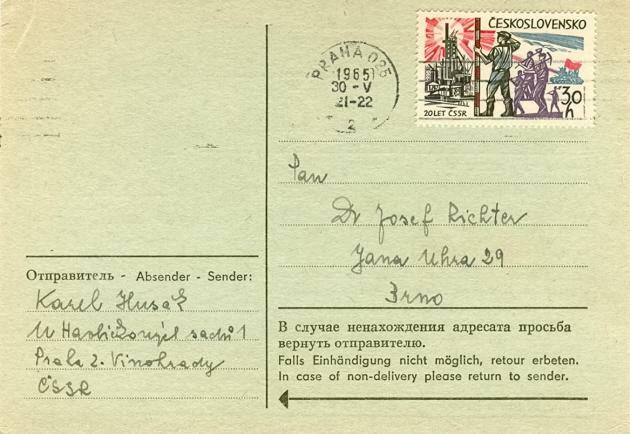 Bradley J. Willis (Edmonton, Canada) is interested in translations of Tarrasch’s books. Can readers assist us in building up a comprehensive list? 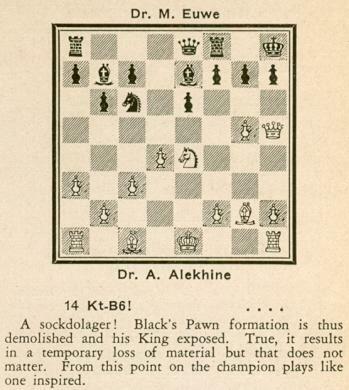 Source: Chess Review, January 1936, page 5. BCM, August 1993, page 443 and September 1993, page 506. 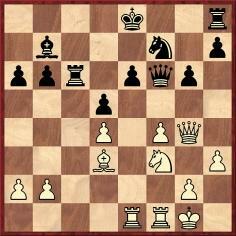 1…Qxh6 2 Rxf5 Bb8 3 Rxd5 c6 4 Rh5 Qxh5 5 Qxc6+ bxc6 6 Bxa6 mate. 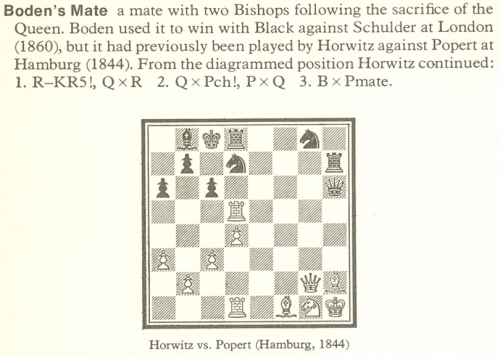 What more can be discovered about the Horwitz v Popert game, which is purportedly the first occurrence of ‘Boden’s Mate’? In particular, what is best corroboration available of the date 1844 and, of course, can the full game-score be traced? 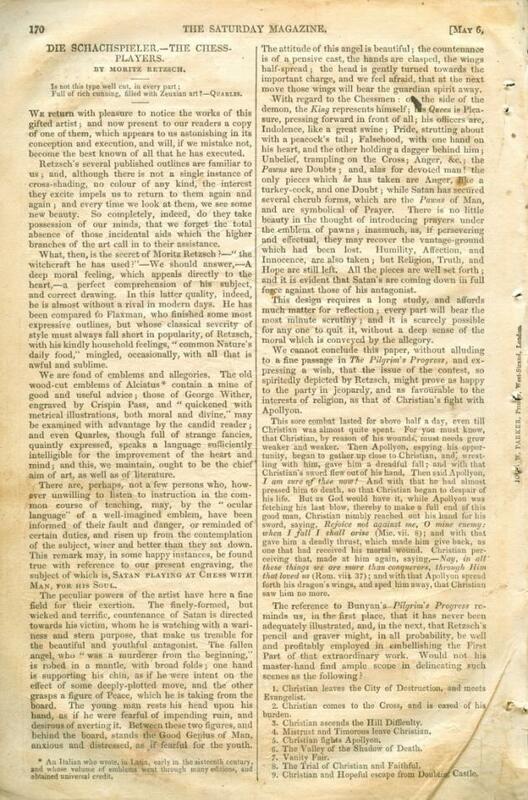 An article by G.H. 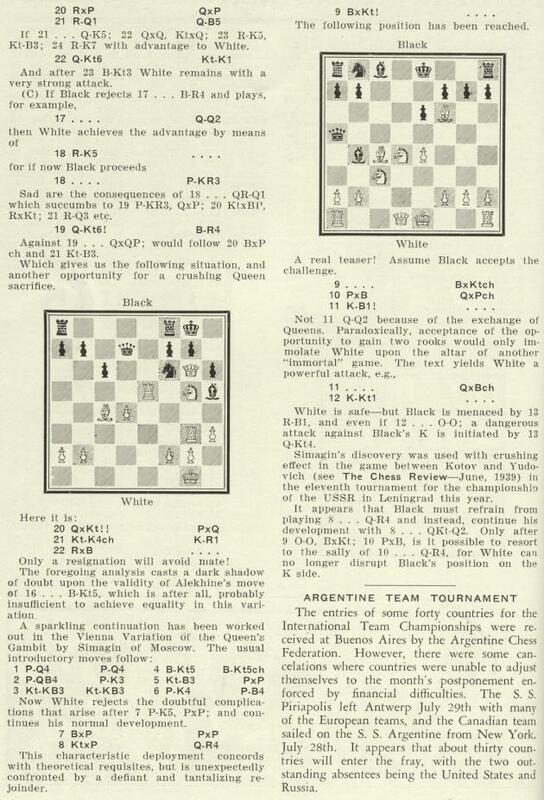 Diggle on pages 277-281 of the July 1934 BCM marked the centenary of the La Bourdonnais v McDonnell matches; it was reprinted on pages 69-75 of The Treasury of Chess Lore by F. Reinfeld (New York, 1951). In Newsflash in June and July 1984 Diggle wrote a further feature on the matches. 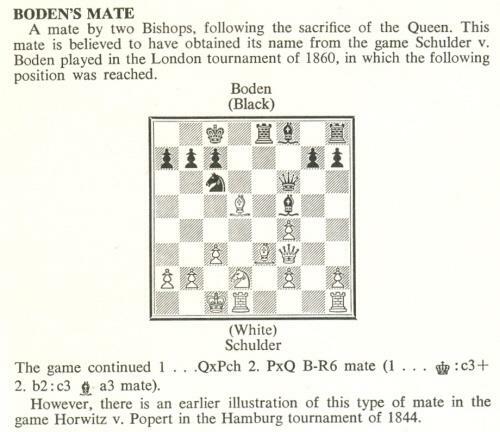 Given on pages 3-6 of volume two of Chess Characters (Geneva, 1987), the two parts are reproduced below. The Champions played every day of the week except Sunday, usually from noon till 6 or 7 p.m., but never more than one game at a sitting. Many games were adjourned till next day. Indeed, McDonnell was (except Williams) the slowest player this country ever produced. “I have seen him an hour and a half”, writes George Walker, “and even more, over a single move, and I once timed La Bourdonnais 55 minutes”. 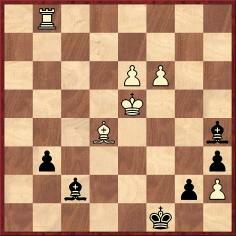 But in those spacious days this seems to have impressed rather than repelled the spectators, who (even if themselves not sufficiently advanced to appreciate the quality of the play) felt that “this was indeed chess”, far superior to such weasel encounters of the past as that in 1821 between Lewis and Deschapelles, who played their three games match “before dinner”. 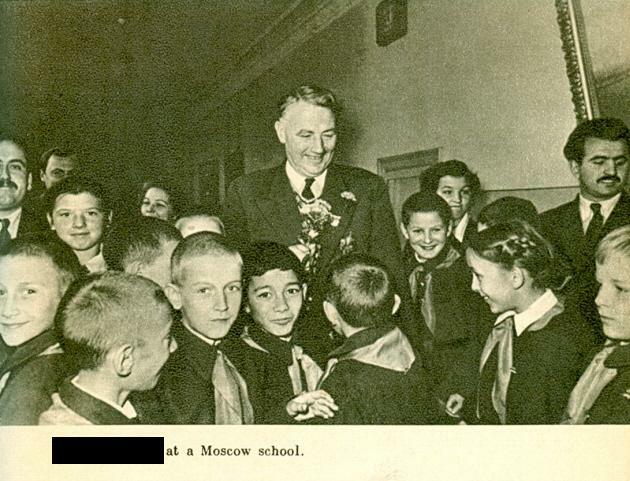 The circumstances, as distinct from the conditions, under which the matches were played strongly favoured McDonnell. He was a very comfortably off bachelor who held the post of Secretary of the West India Committee of Merchants with a salary of £1,200 a year. As his duties were to watch the progress of Bills affecting the West Indies, he had work to do only when the Houses of Parliament were sitting (in fact, the Palace of Westminster was burnt down in the famous 1834 fire, which must have occurred during the match). 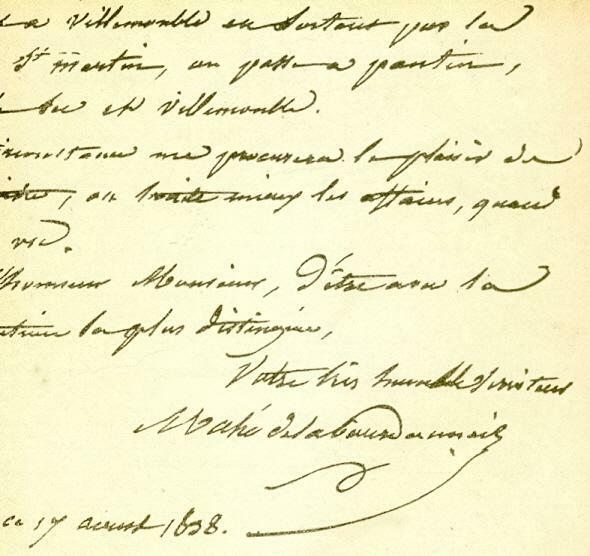 La Bourdonnais, though of a noble family and heir to an old estate – in the earlier years of his marriage he possessed “un château, cinq domestiques, et deux équipages” – impetuously lost all his money in a building speculation and came down to £60 a year as Secretary of the Paris Chess Club and what he could make as a professional at the Café de la Régence. During the McDonnell matches his boisterous resilience was such that he would follow up a seven-hour struggle by playing for half-a-crown a game against all-comers till long after midnight. McDonnell only lived a year after the great encounter, being stricken with Bright’s Disease at the age of 37. Later, in Le Palamède, La Bourdonnais wrote handsomely about him as the greatest player he had ever encountered (he did add, as a rather hurried afterthought, except M. Deschapelles, but this was a sop to his touchy old predecessor). 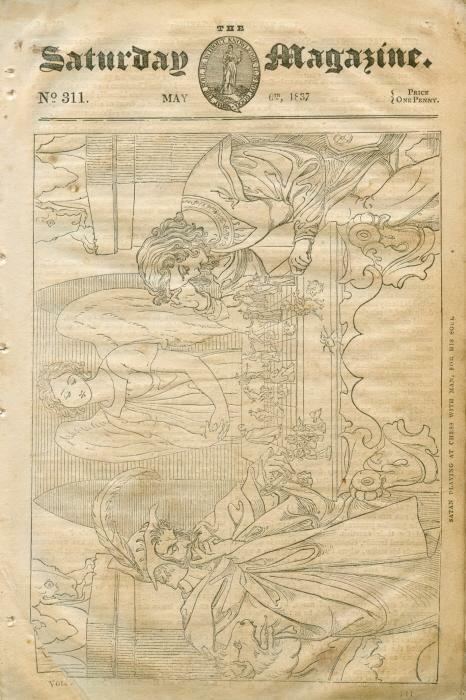 No portrait of McDonnell has survived and the only one of La Bourdonnais (the frontispiece of Le Palamède, 1842) was described by Staunton (Chess Player’s Chronicle, volume two, page 159) as a “lithographic enormity”, though Staunton never actually saw either of the two masters. 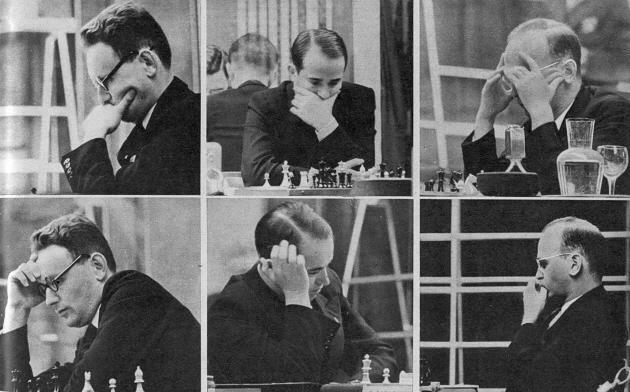 Of the 85 games, the following have been agreed by generations of critics to be “the greats”: games 17, 47, 62 and 78 won by the Frenchman and 5, 21, 30, 50 and 54 won by McDonnell. To these the BM would add 15 and 40 (La B.) and 85 (McD.). The “Immortal 50th” has always been awarded “the Oscar”, but this game was “all McDonnell”, and there are other good candidates in which both masters were on the top of their form. 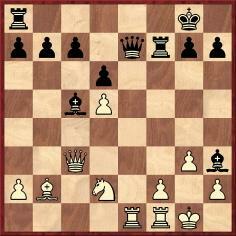 In some one feels the wrong man won; though McDonnell lost 40 (a King’s Gambit in which he gave up two pieces in the first nine moves), he actually harried La Bourdonnais with his inferior force for 22 more moves before he was finally shaken off by the Frenchman’s knife-edge accuracy. But only 12 “Royal Battles” have been mentioned. What of the 73 “plebeians” remaining? Many are curate’s eggs, excellent up to more than half-way through, then addled by blunders, McDonnell being the worse offender. 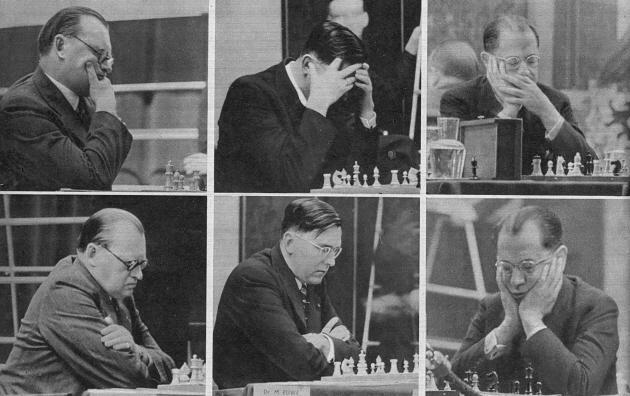 But others are rated by “H.G.” in A History of Chess as thoroughly bad eggs throughout, and this is difficult to dispute. 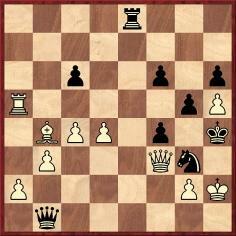 In his disastrous first match McDonnell, playing White against the Sicilian, repeatedly makes such a crude hash of the opening that his king (with both his rooks and bishops still unmoved) is forced to make a fatuous excursion via KB2 to KR3, where he is speedily run over like a stray cow on a railway line. As for La Bourdonnais, it is hard to avoid the conclusion that before, instead of after, he played the 58th and 83rd games, he had, as was his nightly custom, “sent pint after pint of Burton Ale Beer into the hold”. 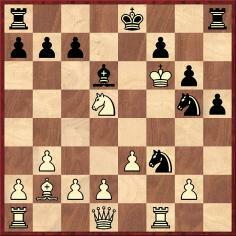 13...h5 14 Bf5 Qg5 15 Bd3 Na5 16 b4 Nb7 17 Qc3 Nf7 18 Be3 Qh4 19 Nf1 Nfd6 20 Bf2 Qg5 21 Ng3 Qh4 22 Ne4 Qxh2 23 Nxd6 Nxd6 24 Qc6 f5 25 g3 e4 26 Bc5 Qxg3 27 Bxd6 Qxd6 28 Qxd6 cxd6 29 fxe4 f4 30 e5 f3 31 Rf2 dxe5 32 Be4 Bh4 33 Rxf3 Rxf3 34 Bxf3 Bh7 35 Bxh5 Bxc2+ 36 Kxc2 Kc7 37 Bg6 Kd6 38 Kc3 Ke6 39 d4 Be1+ 40 Kc4 exd4 41 a3 Bf2 42 Kb5 Kf6 43 Bd3 g5 44 a4 g4 45 Kc4 Ke5 46 Be2 g3 47 Bf3 Kf4 48 White resigns. ‘I lived in Boston from Nov. ’87 to Nov. ’89. I was a member of the Boston YMCU on Boylston St. and played chess there in the evenings. In the Fall of ’88, Pillsbury, then a High School student, began to play there too and at first was easy pickings for most of us. 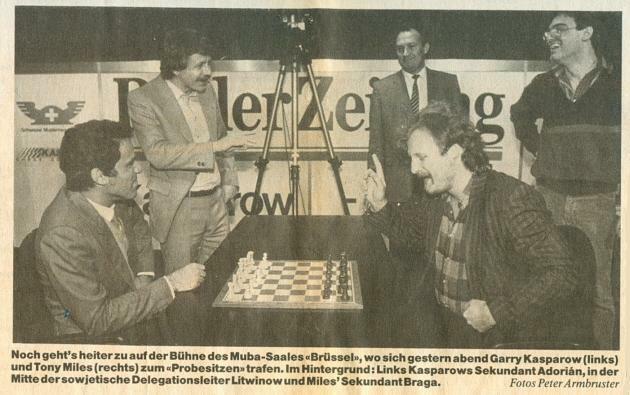 I was a B class player, but by the Spring of ’89 he could beat the best of the group who frequented the chess room at the Union. On a number of occasions Pillsbury and I walked up over Beacon Hill together, I to my room and he on his way to Cambridge. 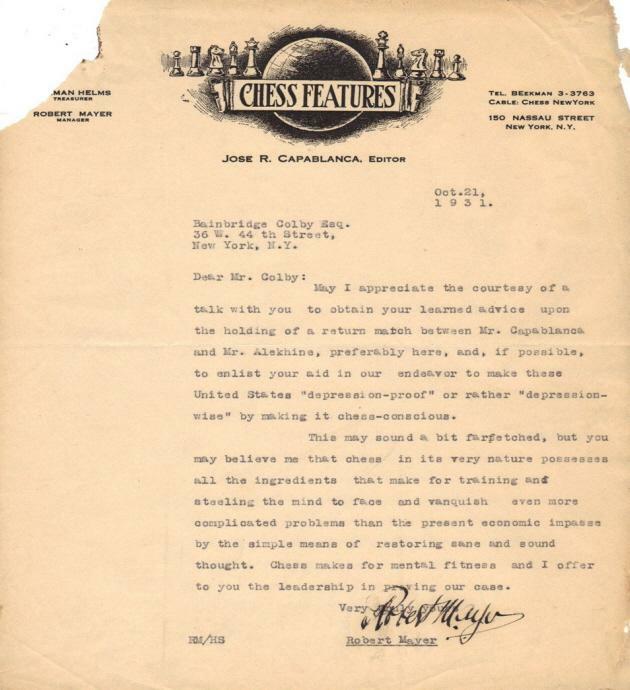 Several times I advised him against letting chess get too great a hold on him as it would interfere with his advancement in other fields. 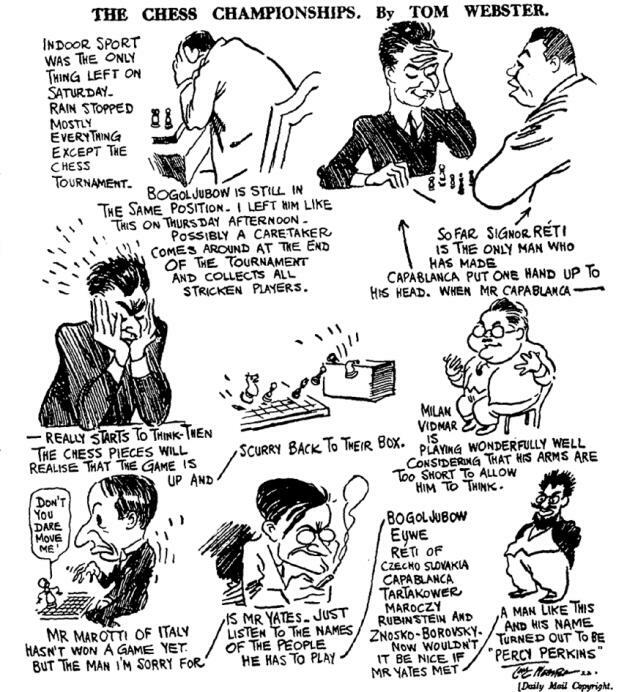 Daily Mail, 19 August 1922, page 9 (detail from the 14 August cartoon). 22 Qxc6+ Bxc6 23 Rxc6+ Resigns. 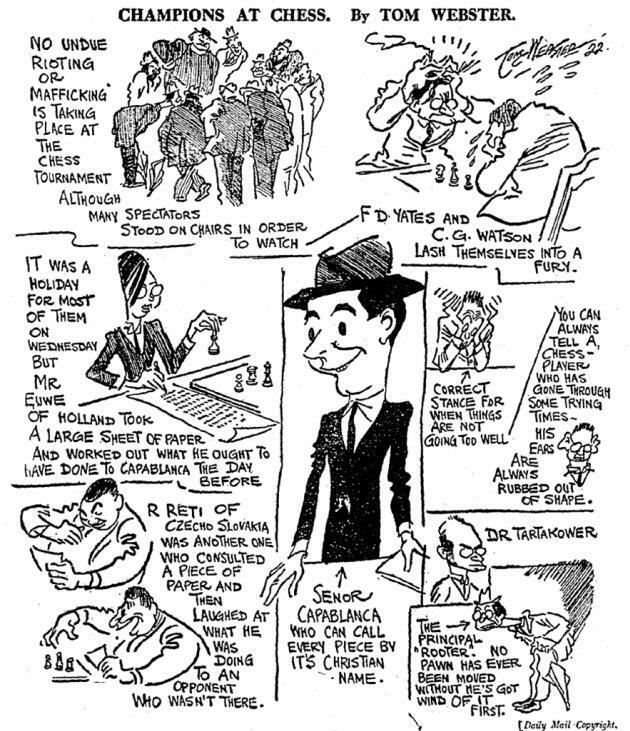 Source: pages 72-73 of Calypso Chess by Philip Corbin (Saint Peter, 2011). 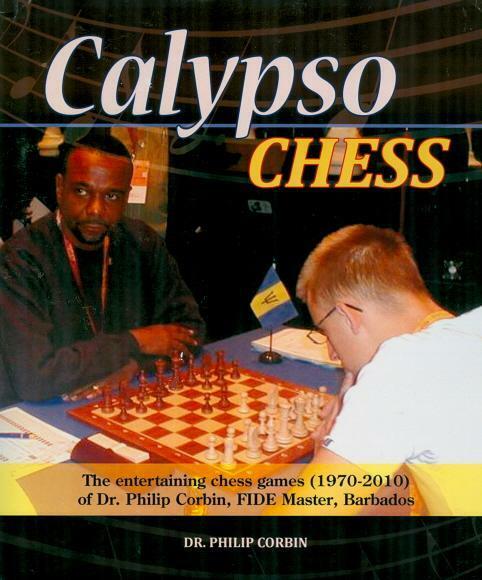 There is much lively chess in this 441-page annotated games collection from Caribbean Chapters Publishing. Nigel Short’s Foreword remarks that ‘Dr Philip Corbin’s irresistibly infectious, boyish enthusiasm permeates its every page’. The list below is confined to volumes in our collection. 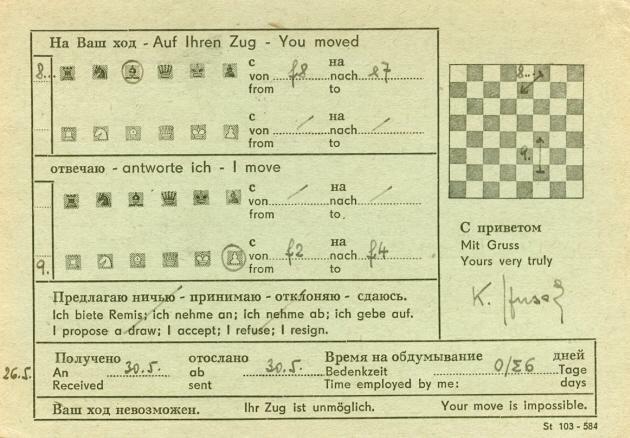 Tarrasch’s Das Schachspiel (Berlin, 1931) was translated into English by G.E. Smith and T.G. 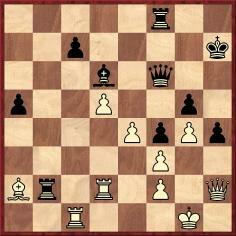 Bone as The Game of Chess (Chatto and Windus, London, 1935 and David McKay Company, Philadelphia, 1935). It was reprinted by David McKay Company, Inc., New York in 1976 and by Dover Publications, Inc., New York in 1987. An algebraic edition edited by Lou Hays and David Sewell was brought out by Hays Publishing, Dallas in 1994. 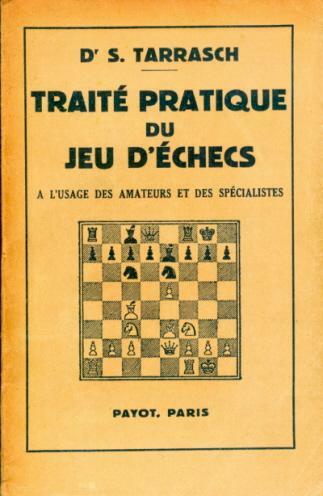 A French edition of Das Schachspiel, translated by René Jouan, was published by Payot, Paris in 1952 under the title Traité pratique du jeu d’échecs. The company has reprinted it many times. 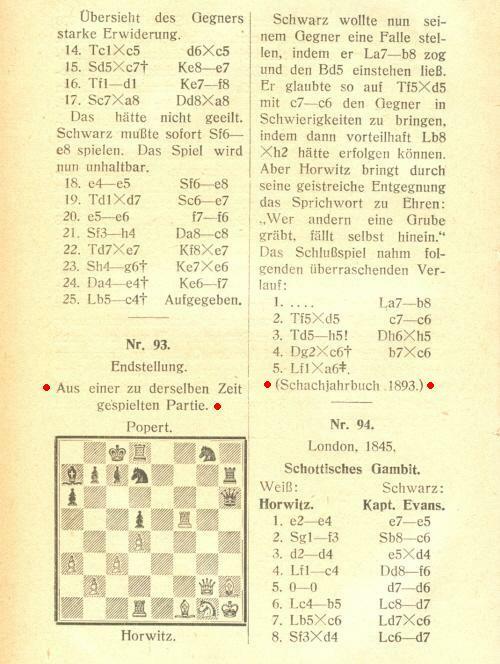 Dreihundert Schachpartien, of which Tarrasch produced a number of editions, was the subject of an English translation, Three Hundred Chess Games, in two volumes published in 1959 and 1961. The translators were Robin Ault and John Kirwan for volume one (which included games 1-119) and Robin Ault for volume two. (Preparation of this item has revealed that our collection lacks volume two, and we shall be glad to hear from any reader with a copy for sale.) 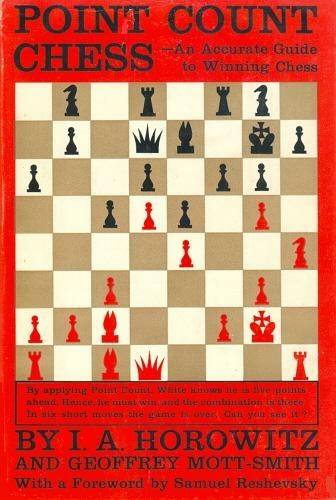 Another English translation of the book, also entitled Three Hundred Chess Games, was by Sol Schwarz, brought out by Hays Publishing, Park Hill in 1999. A Russian translation by V.I. Murakhveri, 300 shakhmatnykh partii, came from Fizkultura i sport, Moscow in 1988. In 2007 Caissa Italia editore, Rome published an Italian translation, 300 partite di scacchi, by Alex Tonus. Die moderne Schachpartie, of which several editions appeared, has been translated into Russian by V.I. Murakhveri, in two volumes, under the title Uchebnik shakhmatnoi strategii (AST, Moscow, 2001). 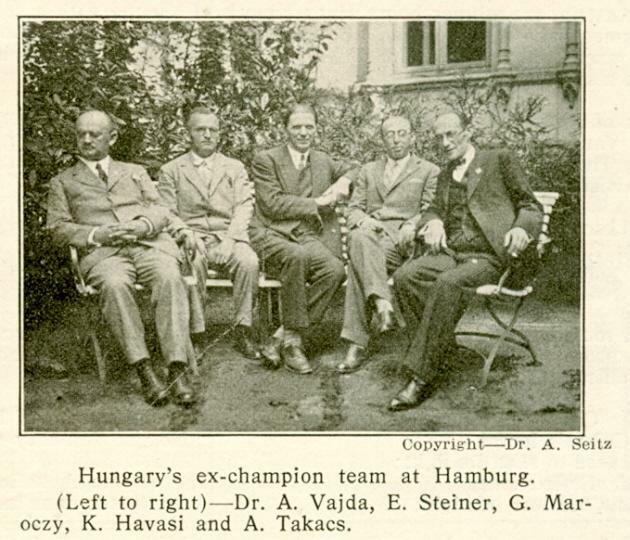 Das internationale Schachturnier des Schachclubs Nürnberg im Juli-August 1896 by Tarrasch and C. Schröder (Leipzig, 1897) was translated into English by John C. Owen as Nuremberg 1896 International Chess Tournament (Caissa Editions, Yorklyn, 1999). 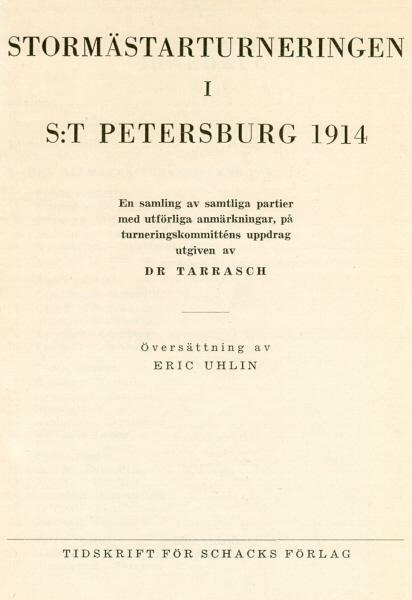 Tarrasch’s Das Grossmeisterturnier zu St. Petersburg im Jahre 1914 (Nuremberg, 1914) was translated into Swedish by Eric Uhlin as Stormästarturneringen i S:t Petersburg 1914 (Tidskrift för Schacks Förlag, Örebro, 1955). 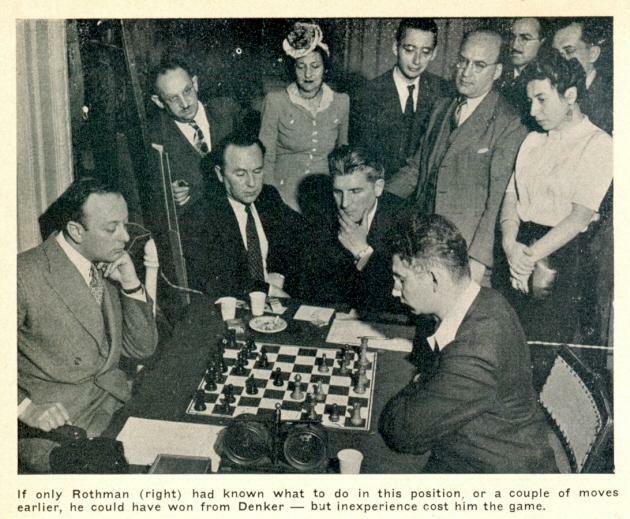 In 1993 Caissa Editions, Yorklyn published St Petersburg 1914 International Chess Tournament, translated by Robert Maxham. We are grateful to Tony Peterson (Southend-on-Sea, England) and Robert Sherwood (E. Dummerston, VT, USA), who have written to us on this topic. ‘Le plus grand charme du jeu vient de ce qu’il est une réalisation intellectuelle et les réalisations intellectuelles sont parmi les plus grandes jouissances de l’existence, si même elles ne sont pas les plus grandes. Tout le monde ne peut écrire une pièce de théâtre, construire un pont, voire faire un bon mot. 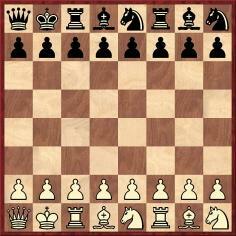 Mais, dans le jeu d’échecs tout le monde peut et doit créer intellectuellement et savourer ce plaisir de choix. J’éprouve toujours un peu de pitié pour ceux qui ne savent pas y jouer, comme j’en ai pour ceux qui n’ont jamais connu l’amour. 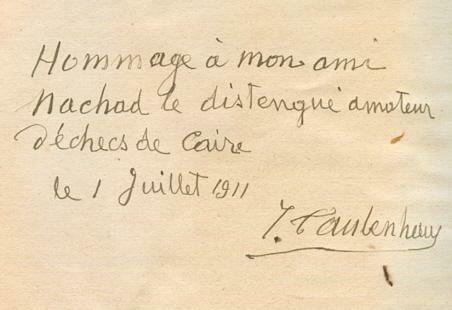 Les échecs, comme l’amour, comme la musique, ont la possibilité de donner du bonheur à l’homme. 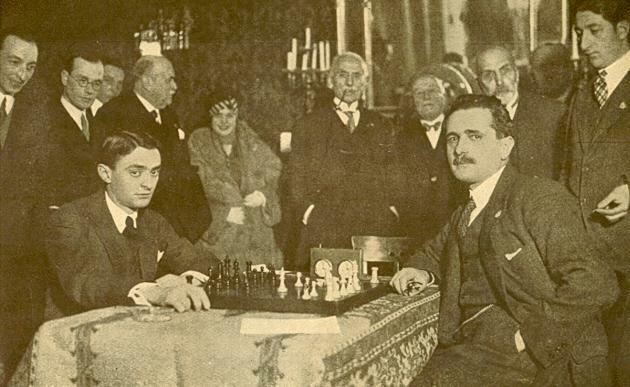 Reminiscent of Lasker v Thomas, this well-known gamelet (‘Amateur v Crépeaux, Nice, 1923’) is to be found, with criticism of both sides’ play, on pages 399-400 of Echec et mat de l’initiation à la maîtrise by Frank Lohéac-Ammoun (Les Avirons, 2011). 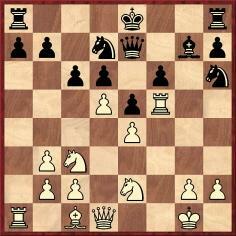 Han Bükülmez (Ecublens, Switzerland) wonders whether it can be demonstrated that the game is genuine. Although the venue is usually given as Nice, page 272 of 200 Miniature Games of Chess by J. du Mont (London, 1941) had ‘Holland, 1923’. It is by no means easy to build up a list of early appearances of the game in print, and readers’ assistance will be appreciated. 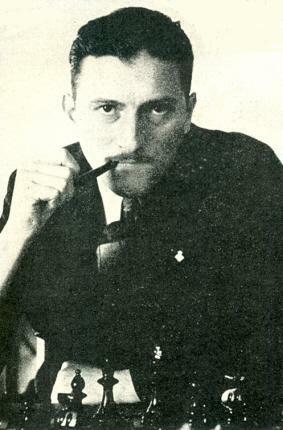 A photograph of Robert Crépeaux, from the September 1925 issue of L’Echiquier, was included in C.N. 3479. 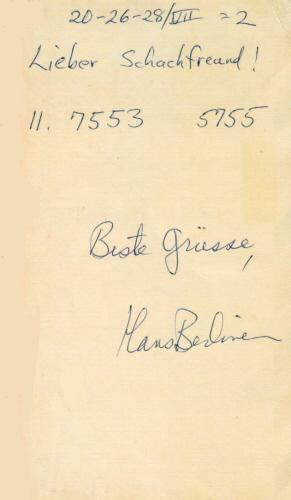 He died in 1994 (see Europe Echecs, April 1994, page 13), although Lohéac-Ammoun’s book states (page 399) that Crépeaux ‘mourut prématurément à Paris en 1944’. Indeed, the book’s undoubted qualities are marred by many errors in dates and names. 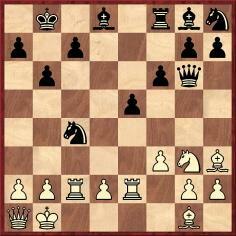 For instance, it is claimed on page 33 that the famous game Capablanca v Fonaroff was played in 1904. 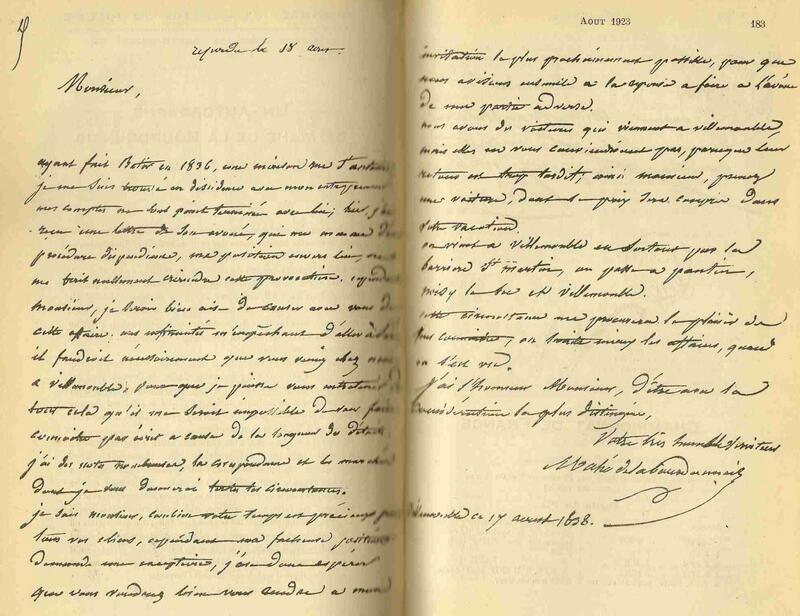 Pages 182-183 of the August 1923 issue of La Stratégie reproduced a letter written by Labourdonnais in 1838. Unable to scan the full document from our bound volume, we wonder whether a reader could kindly provide a copy for reproduction here. 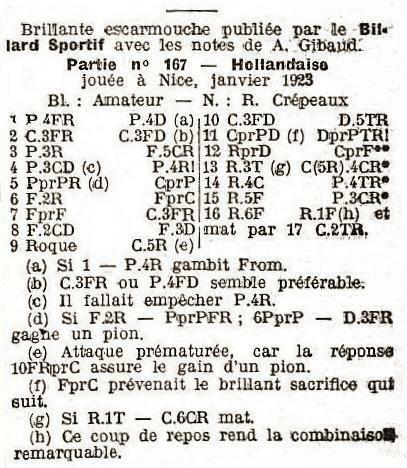 Dominique Thimognier (Fondettes, France) supplies references to three appearances of the game in print: Bulletin de La Fédération Française des Echecs, April-June 1923, page 10; the column by Gaston Legrain in L’Action Française, 8 April 1923, page 5; Bulletin de La Fédération Française des Echecs (July 1927, page 22). All three items have the same annotations by Aimé Gibaud. 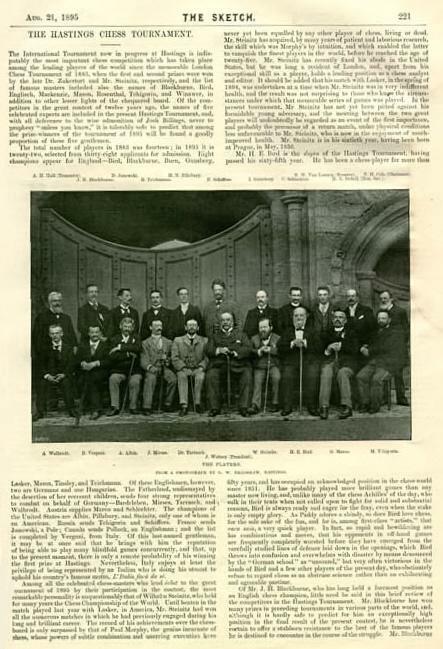 Two of them state that the game was played in January 1923 and that it had previously been published in the periodical Le Billard Sportif (which has not yet been found).